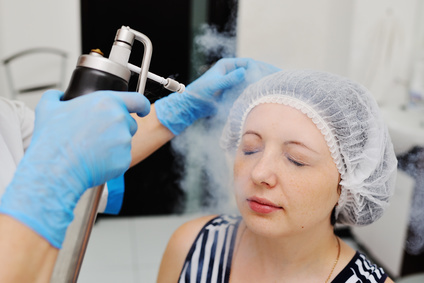 By focusing on the face and neck with the local cryotherapy device, the surface of the face is enhanced immediately. The cold effects on the face tightens your pores while simultaneously reducing inflammation and “puffiness” that we all know too well. Repeated treatments result in the increased production of collagen by triggering the cell growth cycle, exposing fresh youthful skin. The skin’s actual elasticity is returned to an earlier, younger time in the life of the skin.